You share your goals and dreams. Perhaps you want to retire with more money, sell a business, or set up a trust. Perhaps you need to create new streams of income, or protect family wealth. We plan so you can make them come true. We can help.  We provide complete financial planning services for business owners and families, including asset management, corporate benefit planning and trust administration through Bank of Utah. See us today - we want to be your lifetime advisors. As financial advisors affiliated with Bank of Utah, we meet people from all walks of life, but who have many of the same priorities- to live well, to secure their family's financial future and to retain their wealth for retirement. Families do not come to us for investment products. Instead, they request our services. We provide trust administration through Bank of Utah to help them manage and distribute family wealth to designated beneficiaries, estate and succession planning assistance for business owners, and flexible, tax-advantaged investment planning for investors. We understand these priorities, and enjoy helping clients realize their dreams of financial freedom are within reach. Give us a call or e-mail us. We want to be your financial advisors for life.